I lived in Texas for a couple of years before I moved over to Louisiana. Lately it seems that all my field calls have been pulling me back in that direction, but I haven’t managed to have an bbq yet. Although I did have a delicious BLT with egg for breakfast. I never would have thought of that combination – Cajuns truly are the most creative and talented cooks I have ever known. Today we started off with the Vermilion Parish Rice Grower’s mtg at Suire’s Grocery before heading out to scout rice fields in Calcasieu Parish. We had a great turn out at the meeting. Dr. Saichuk and I discussed observations we have made so far this season. 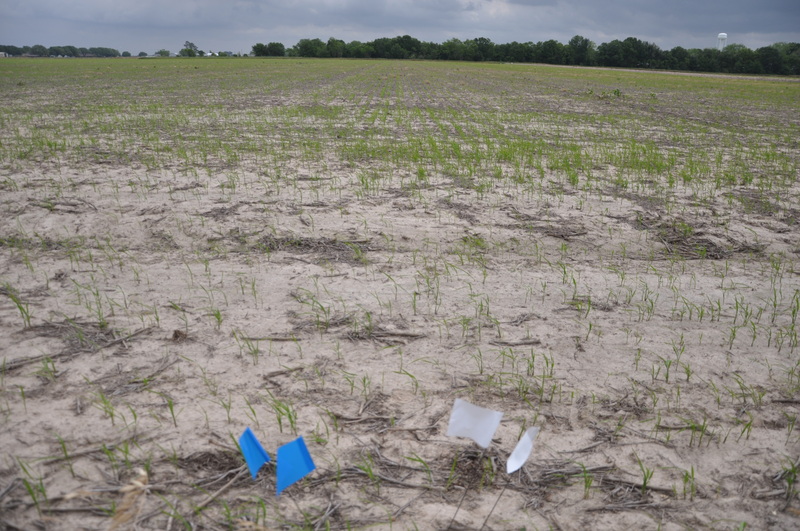 Saichuk’s comments concentrated on herbicide drift problems, the dry conditions causing all sorts of trouble and some other general issues with some varieties. 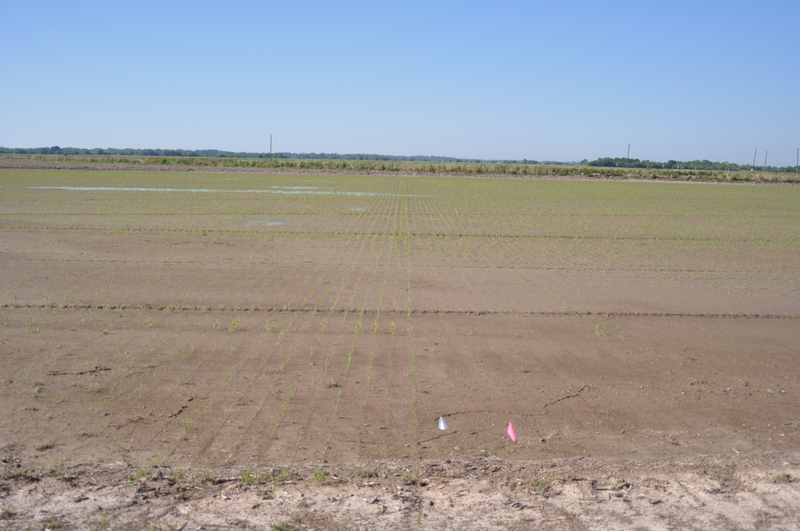 I discussed the seed treatments, trouble with chinch bugs, colaspis, and what we have going for the rice water weevil demonstration this season. After the meeting we headed over to Lacassine to meet Benet Augustine. 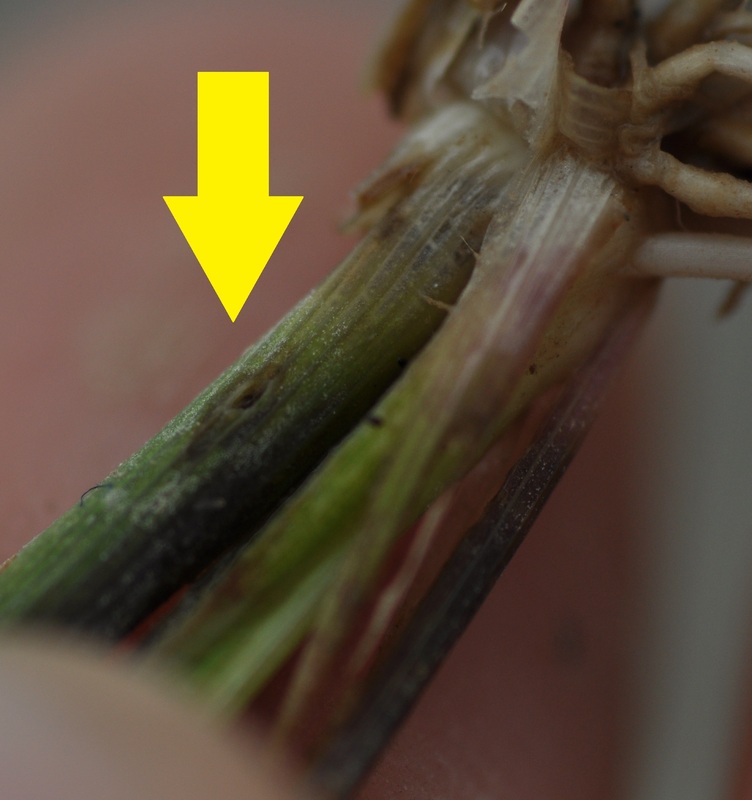 Benet had called on Thursday to report some strange problems with rice – the heart of the mother tiller was dying in young rice and the dead new leaf could be easily pulled out of the plant because it was severed at the base. There also appeared to be some chewing at the base. We tried to puzzle it out over the phone. 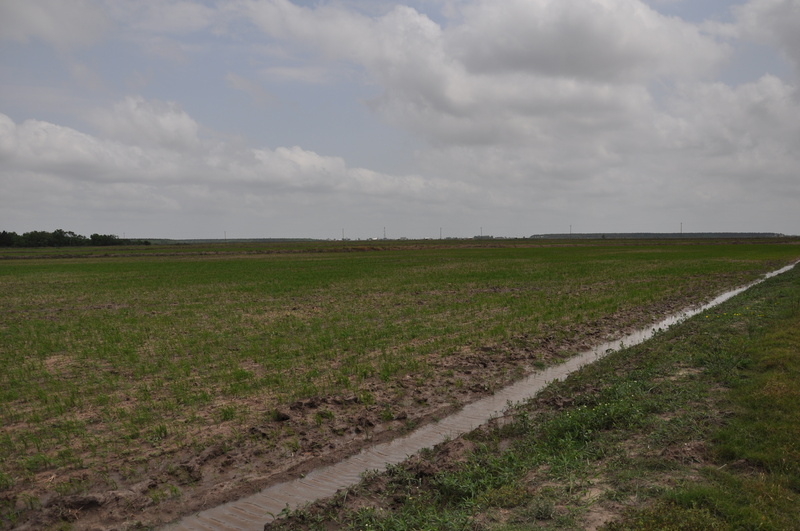 Soon after, Dr. Saichuk and Barrett Courville visited the field and found rice levee bill bugs – an application of Karate was applied before the rain storm and we could not find any living bill bugs – actually none at all – during our scouting visit today. The lack of insects caused me to be uncertain of whether the bill bugs had been responsible for the rice injury. A few fields later we found another bill bug infestation near Iowa and caught them “red-handed” causing the same injury as Benet had observed. So that mystery was solved. 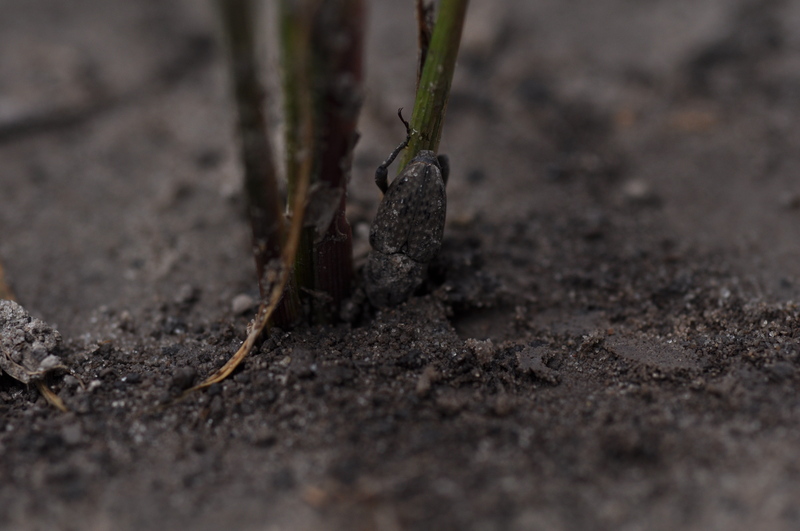 Following are some pictures of the bill bugs and the associated injury they can cause to seedling rice. This was my first time collecting them in a rice field. 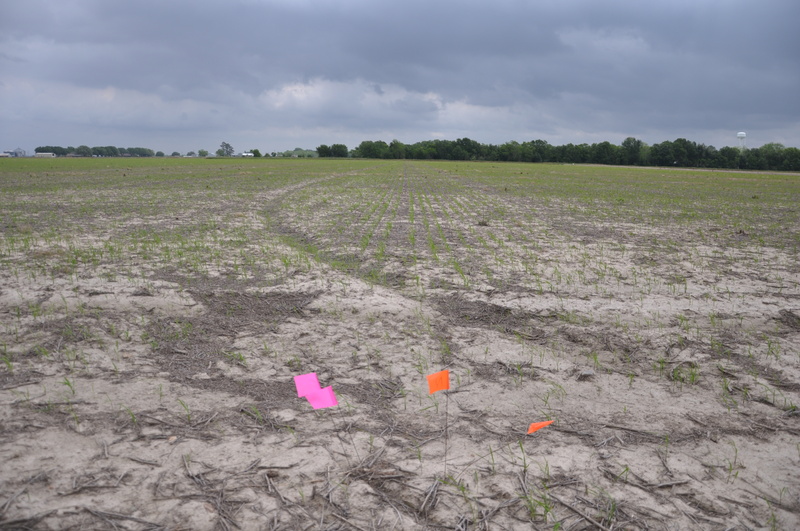 They have caused significant stand reduction at both sites – both were treated with Dermacor X-100, and both were hybrids planted following a fallow season. Bill bug injury field shot. Note the thin areas in the stand. 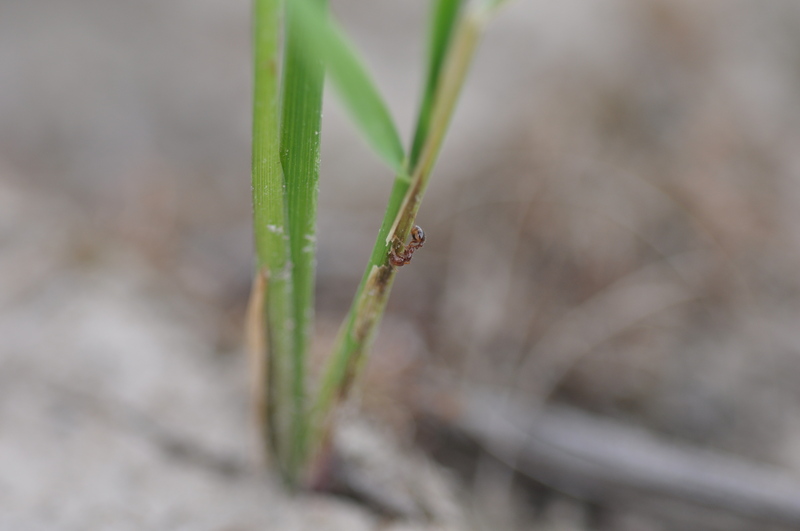 Bill bug stand reduction in hybrid rice. 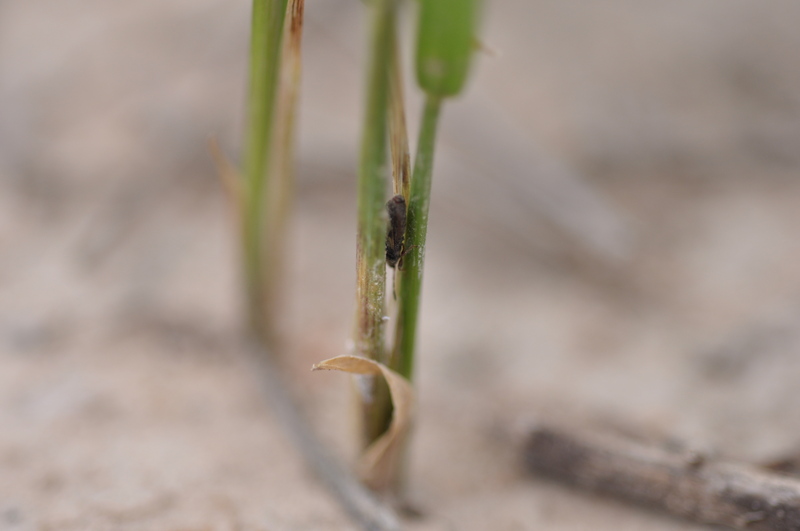 Bill bug feeding injury in the leaf sheath near the base of plant (the plant is upside down in this picture). A bill bug feeding near the base of the plant – they like to be upside down for some reason. Here is where we observed a bill bug feeding. You can see that he has his “snout” is embedded into the leaf sheath. Bill bugs belong to the beetle family Curculionidae (weevils) and are a relative of the rice water weevil. Their chewing mouthparts are found at the end of a long “snout”. The bill bug feeding appears to be injuring the heart of the tiller, causing death of the new leaf. This explains the severed end when the dead leaf is pulled out of the leaf sheath. I saw this injury last season in Calcasieu Parish but was never able to catch the culprit. 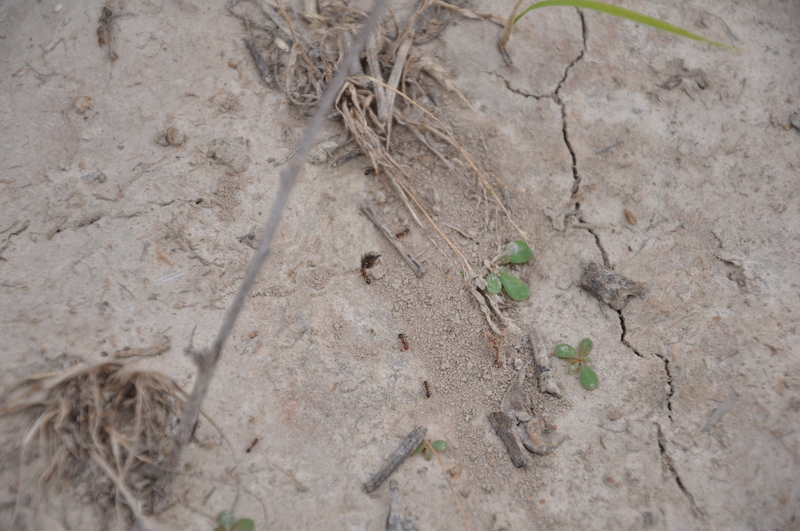 We commonly found the bill bugs burrowed in at the soil line, or about half an inch above the soil line on the plant. We found a pair of bill bugs mating near the soil line. 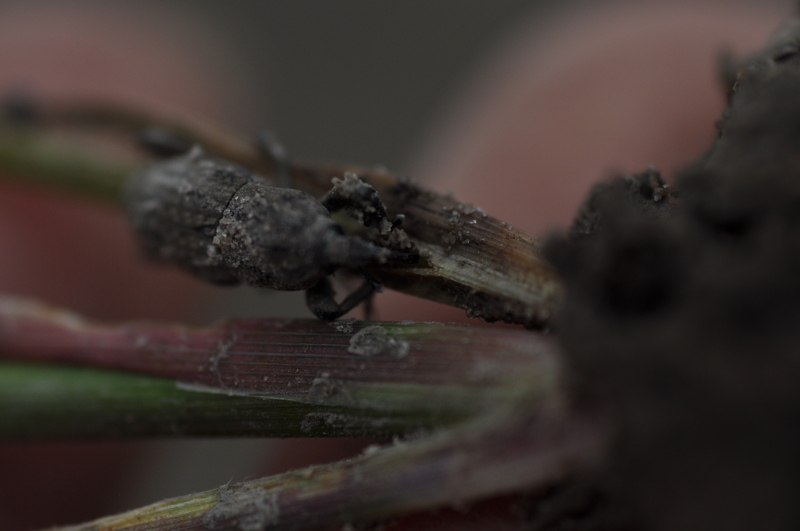 Red arrow: bill bug and yellow arrow: rice water weevil adult. Demonstrating relative size by comparison to a buck knife blade. We recommended treating with 2 oz of Karate to prevent further injury from the bill bug. 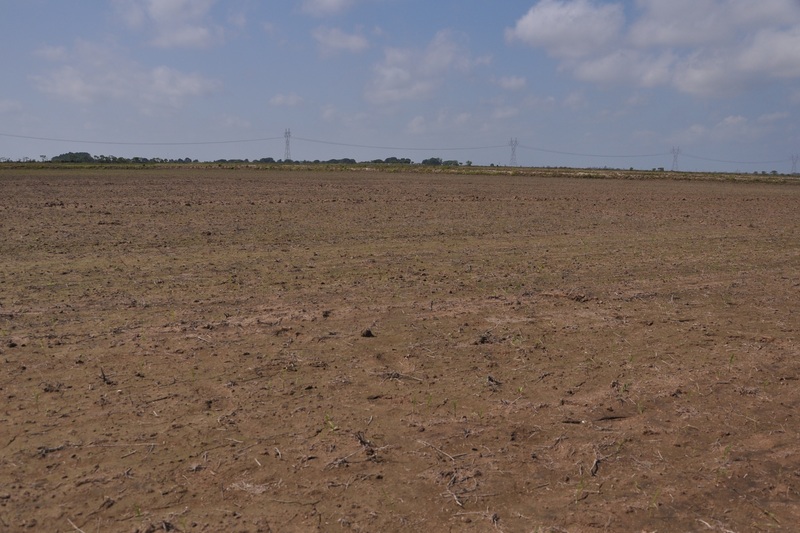 This field is particularly vulnerable because of the low seeding rate. The stand is already marginal and we hope some of the plants recover from the injury. Karate was used at another field location (as described above) and it appeared to be effective. Next we looked at a field with the most severe infestation of chinch bugs I have ever witnessed. 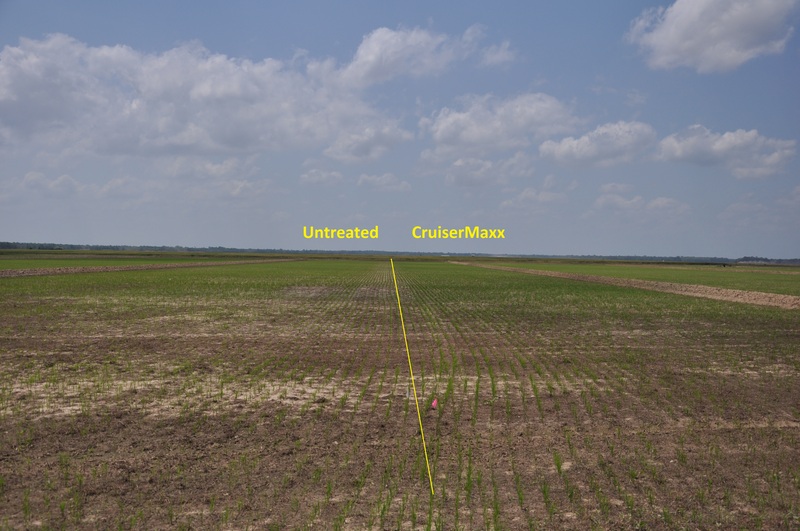 The field of CL151 was drilled at 70 lb/acre with Dermacor X-100 and a fungicide package. 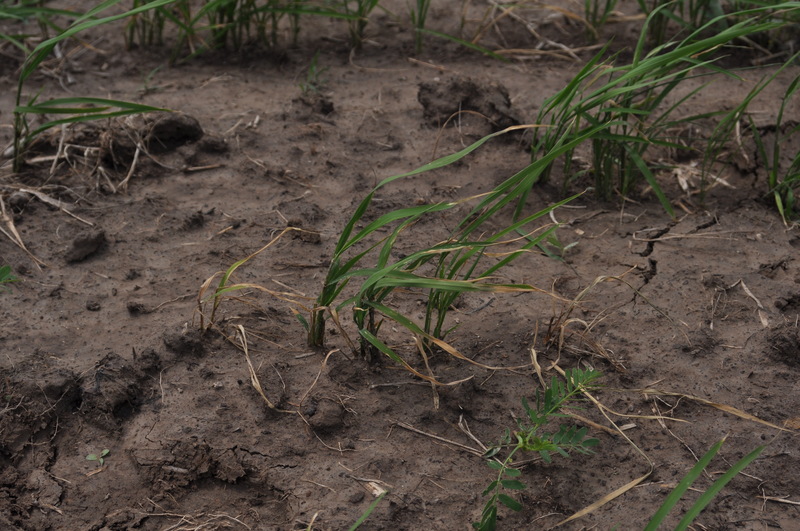 The soil was moist and in some places there was standing water – from this morning’s rain storm. Unfortunately it looked like our nice rain storm this morning did nothing to decrease the chinch bug population. In the higher elevations of the field we had no trouble locating high populations of chinch bugs below the soil and feeding on the roots of the plants. It was easy to spot the injury from the truck. 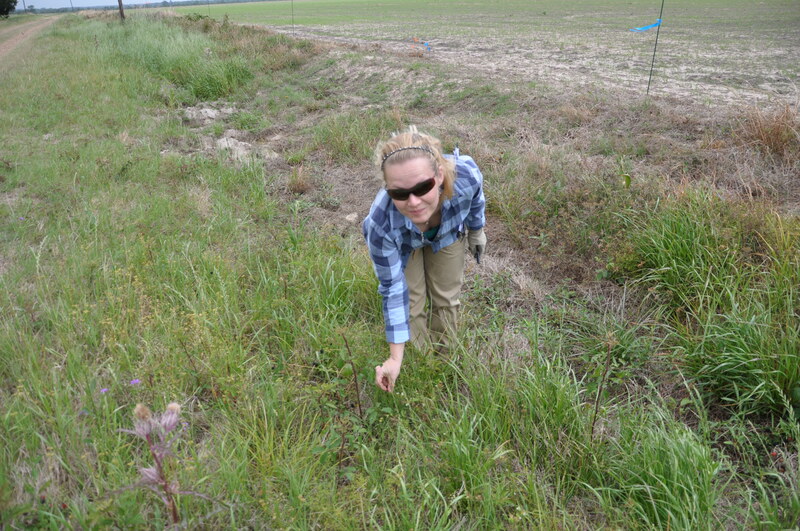 The “windshield view” of chinch bug injury in a field of CL151 in Calcasieu Parish. 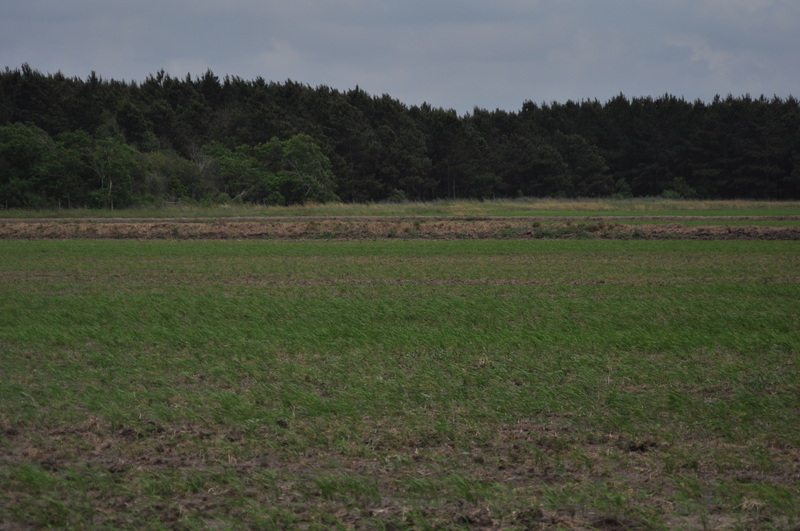 In this field the injury was not progressing in from the edges as we typically expect with chinch bug injury (refer to posting of injury in Evangeline Parish in the 2010 field season). 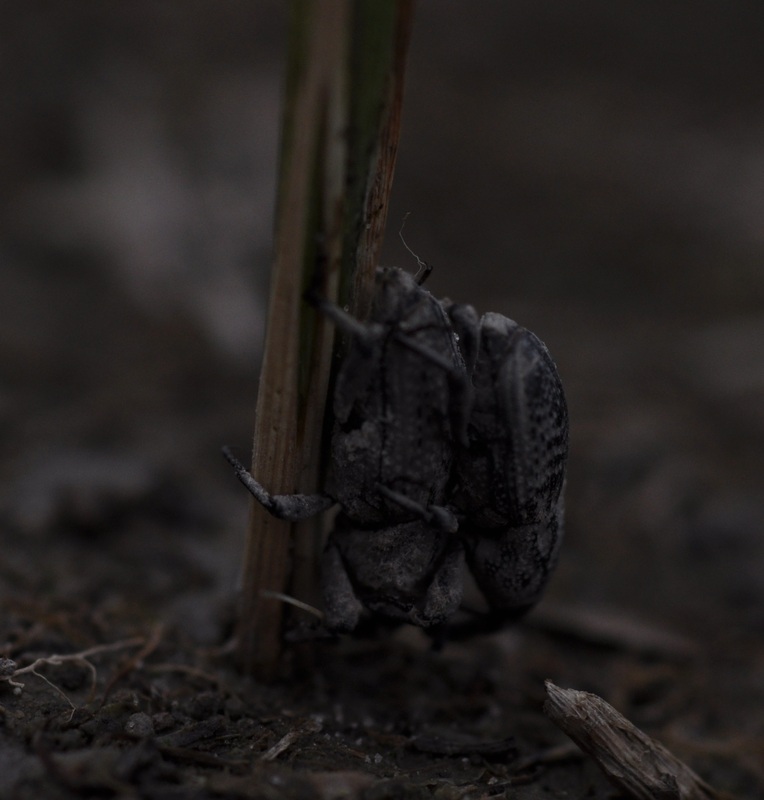 The consultant (Randy Verret) found it as he walked across the field and started to find patches of dead/dying plants. Upon further inspection, Randy found chinch bugs of all stages attacking the plants. The injury is clustered in patches across the field. 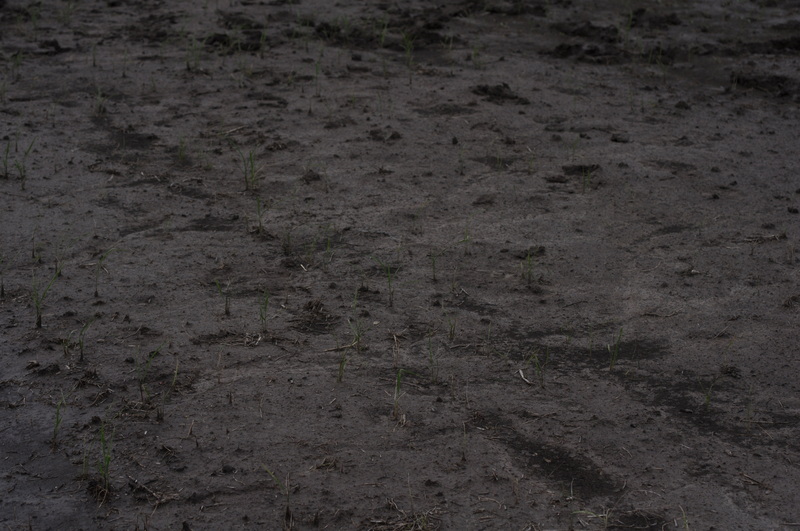 Healthy rice plants that are just starting to show injury, bordered by dead and dying rice plants. What is happening is the chinch bugs are moving from dead plants to healthy plants. 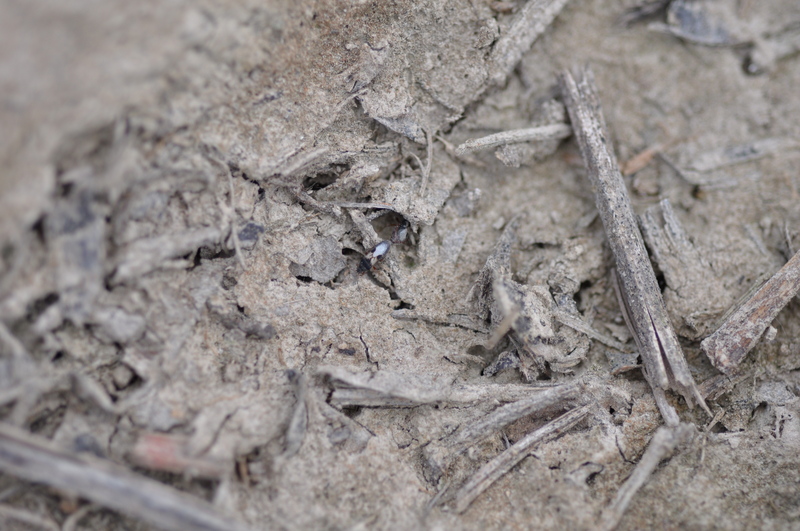 Most of the dead plants had almost no roots left – they were easy to pull out of the ground. 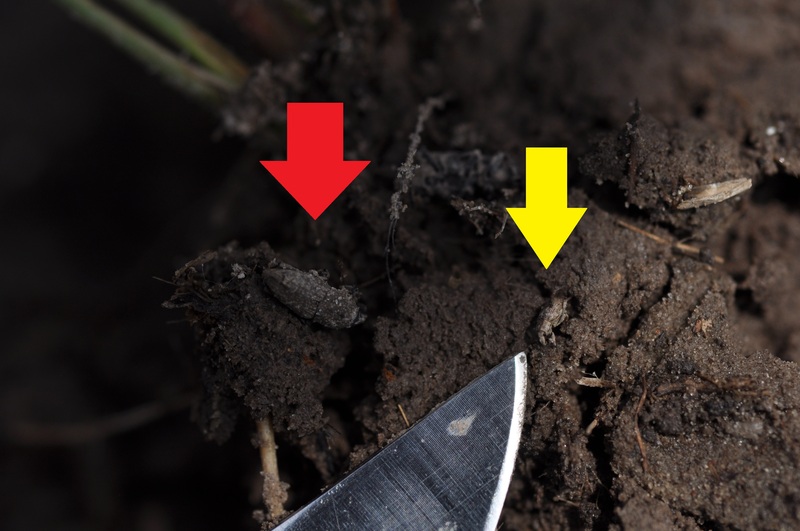 The chinch bugs appear to be feeding on the roots and also on the leaf sheaths near the soil line. 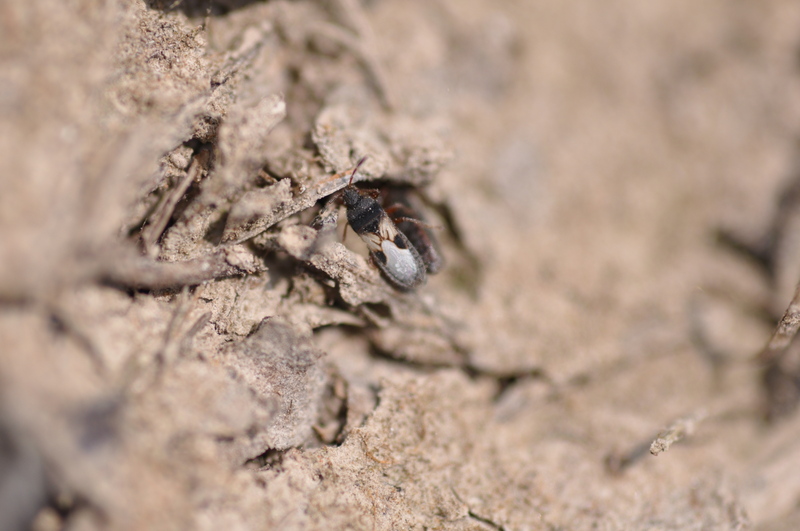 As we pulled up dead and dying plants, we found hordes of chinch bugs in the soil near the roots. This field was infested with all life stages of chinch bugs, ranging from nymphs to adults. Recall that chinch bugs have incomplete development – thus they shed their skin to grow to the next life stage and each stage looks different in appearance from the other. 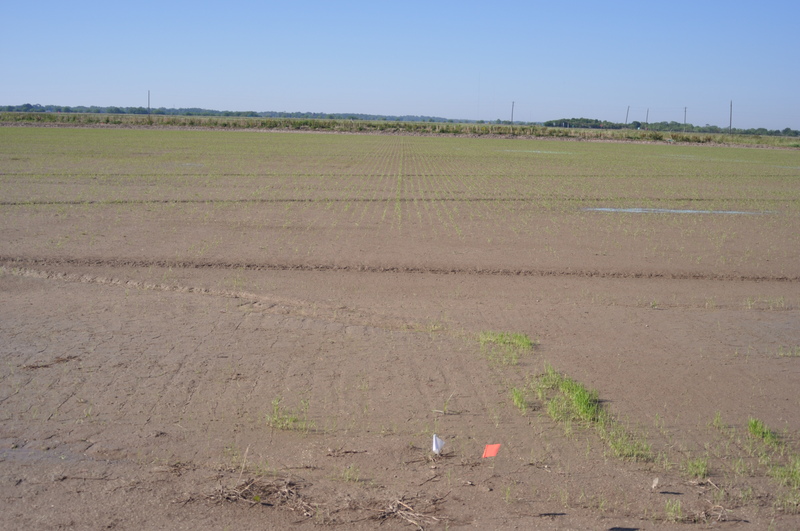 All stages feed on rice plants and have the ability to cause injury. First instar chinch bugs are bright orange in color with a tan band on the back. 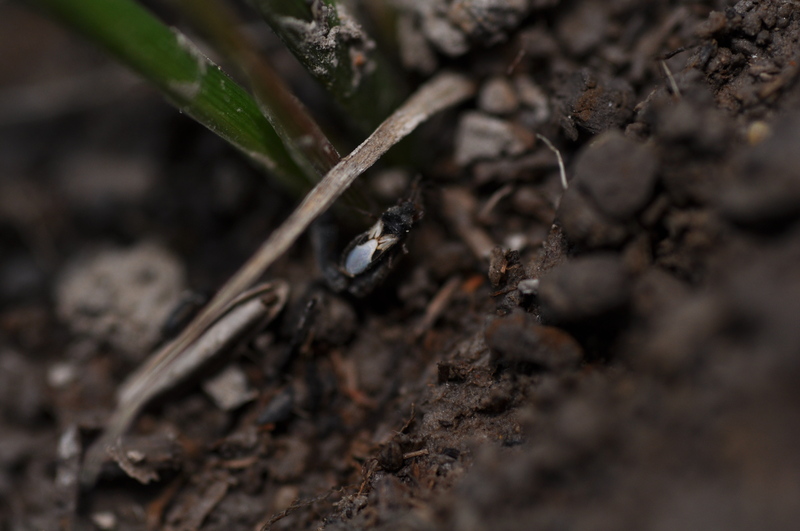 Chinch bug adult at base of plant – note the black and white color pattern that gives the appearance of an hourglass. We also found mating pairs of adults. 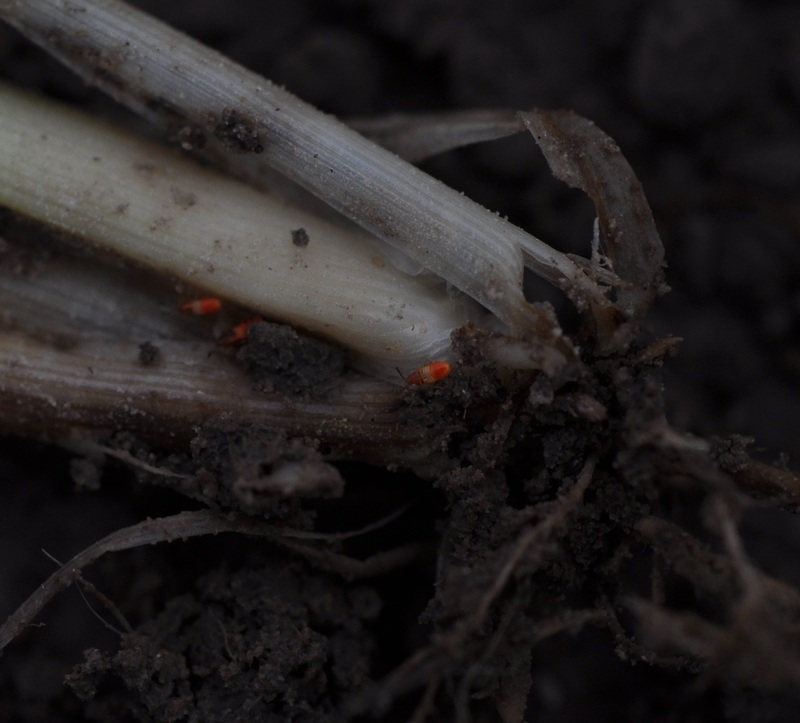 In light of such a severe infestation and ongoing plant death, we recommended an application of a pyrethroid as soon as possible to prevent further stand injury. 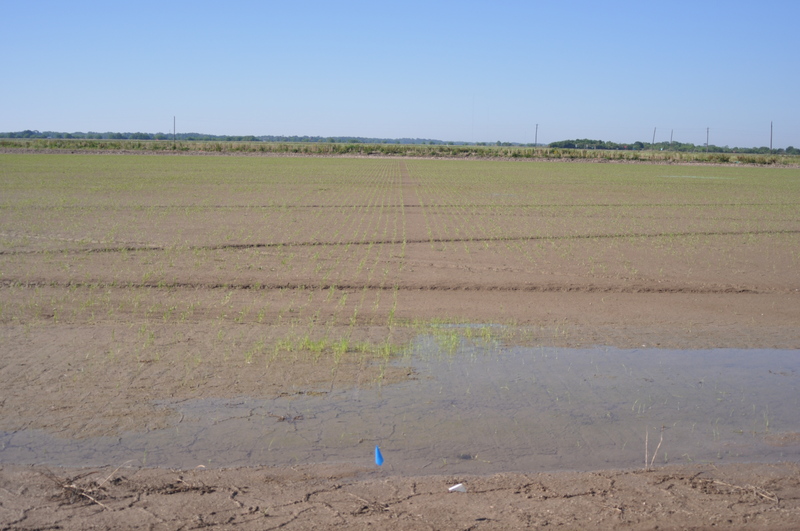 After application of permanent flood this rice will be protected from rice water weevil injury by the Dermacor X-100 seed treatment. If everything was prepared to go to permanent flood immediately, that would probably be sufficient. 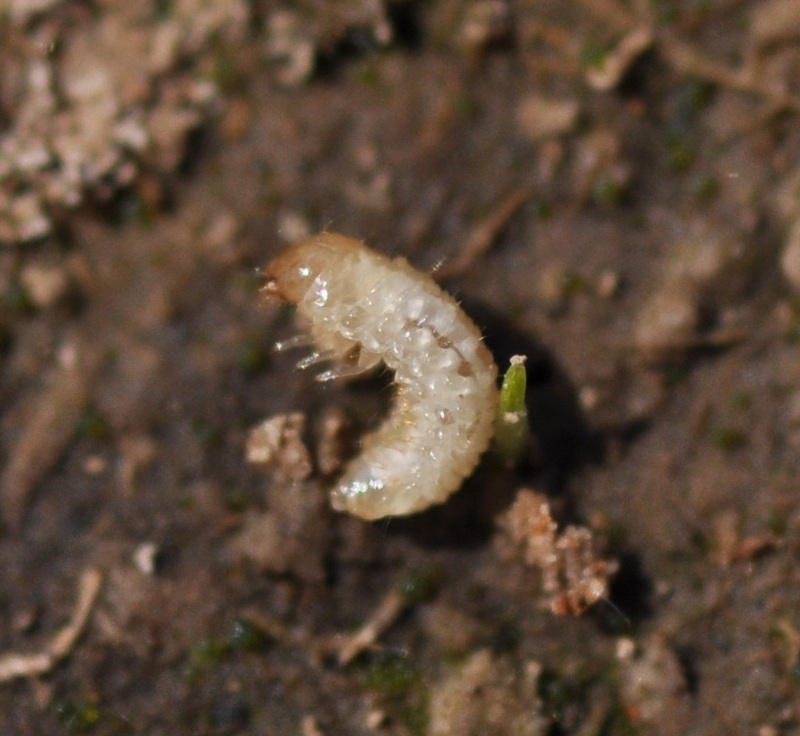 Flooding removes the chinch bugs from the root zone of the plant, preventing further injury. 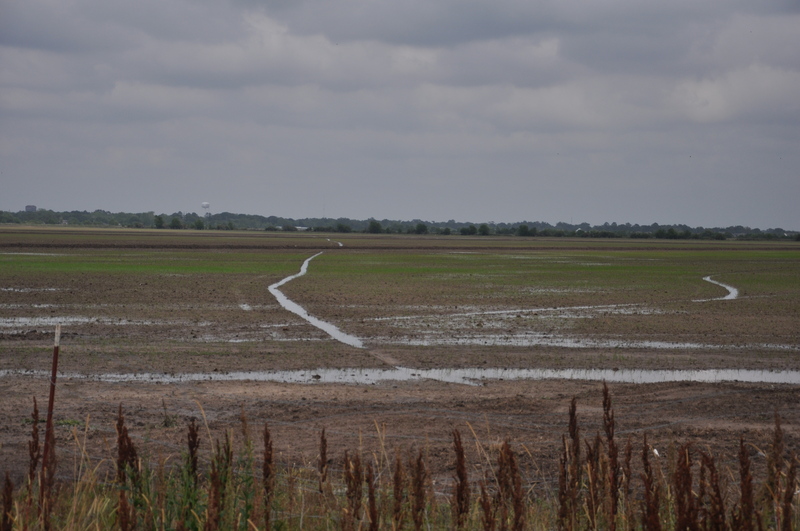 In this particular field it will be about a week before permanent flood is established and I fear that the chinch bug injury could progress quickly during that time. Aggressive scouting and a quick response will hopefully save this stand from further reduction. I hoped that the rain we had this morning (in some cases near 4 inches) would halt the chinch bug problems, but as you can see here, that does not appear to be the case. Vigilant monitoring is still needed. 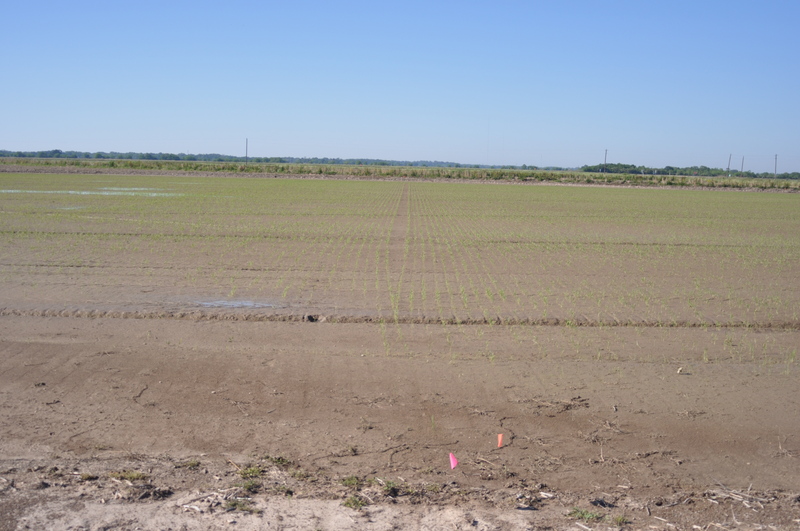 Tomorrow we will plant our final rice water weevil demonstration site in Avoyelles Parish. I had some technical difficulties with the blog last week, so this posting is a little delayed. Also, before you get into it, I’d like to talk about more insect problems. The dry conditions are continuing to create headaches. I’ve had about 5 more calls about chinch bugs, rice levee bill bugs in rice. Some are reporting successful control with a spray of pyrethroid to control the insects. I would caution you to avoid using an insecticide unless you can confirm the presence of the insect causing injury. There are some mystery problems out there and it is easy to blame insects in some cases. The bottom line is that if you can’t find any insects causing injury, then there is no point paying for an insecticide application.I know it is hard to scout in the wind and the dry conditions. 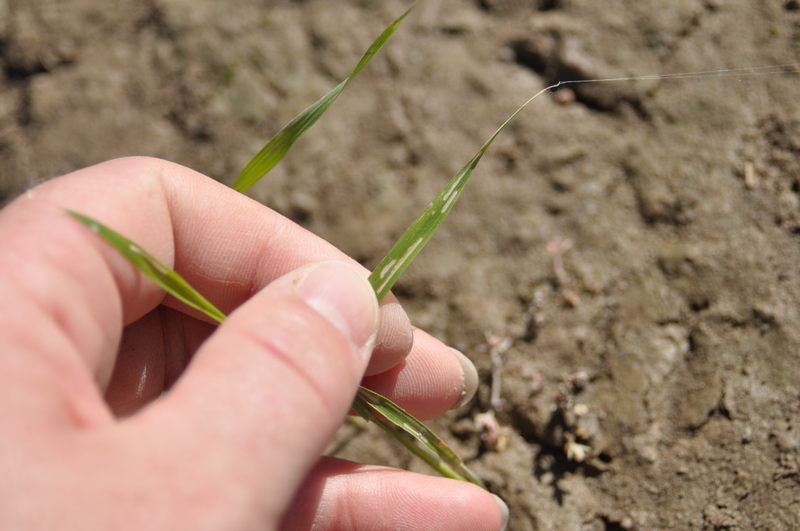 Scouting early in the morning will increase your chances of finding chinch bugs in rice. 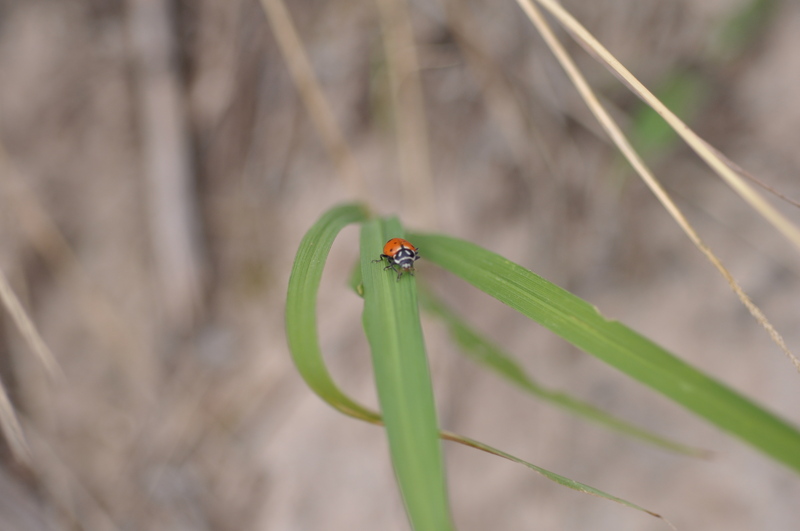 Also, scouting the vegetation of the edges of the field – particularly sweeping grasses with a sweep net – is another good scouting method for chinch bugs. 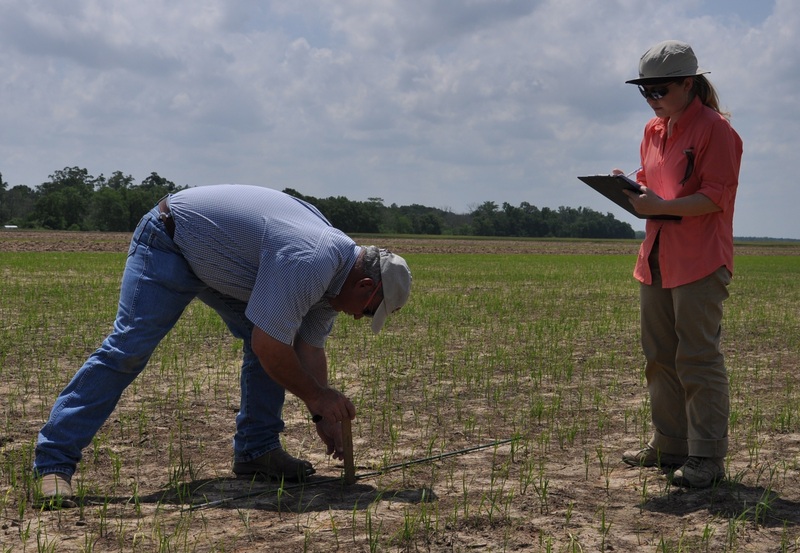 Tomorrow we will be in Vermilion Parish for a morning meeting and a walk with Dr. Saichuk at the verification field. 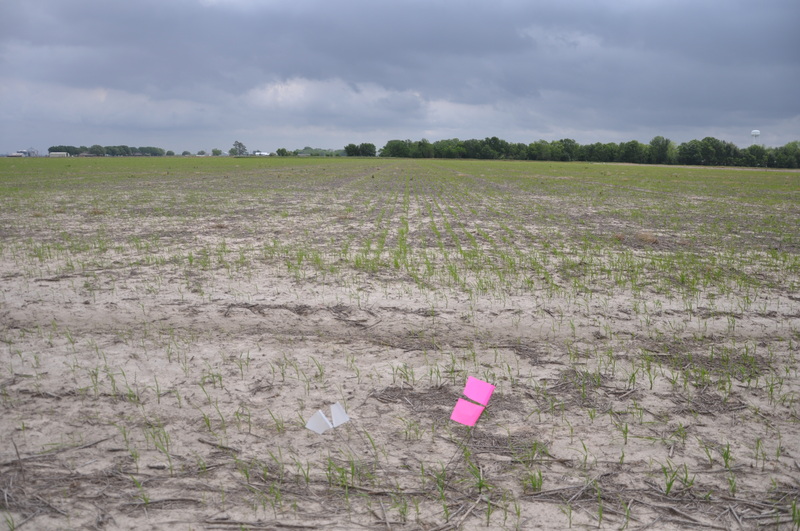 In the afternoon, we will head to Jefferson-Davis Parish to scout some of these fields that are/have suffered injury from chinch bugs, rice levee bill bugs, and/or colaspis. St. Landry Parish Vince Deshotel and Anna taking plant heights. 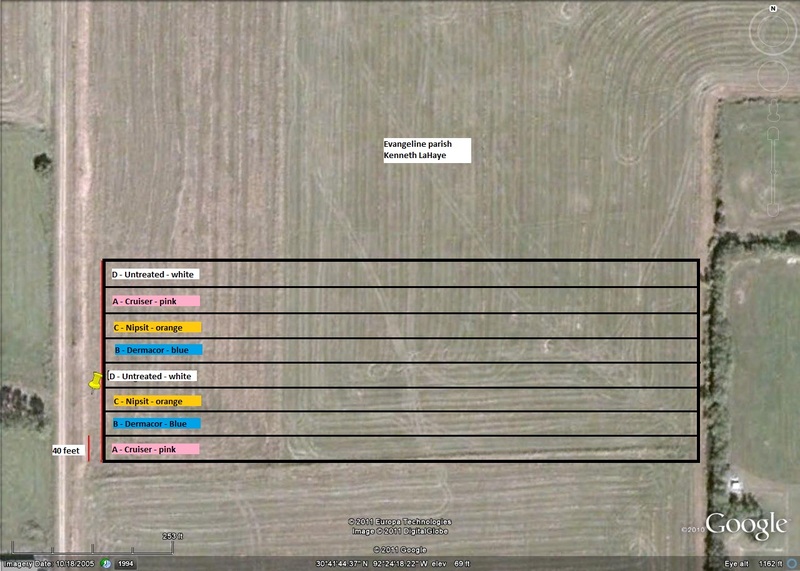 St. Landry Parish rice water weevil demonstration site field map. 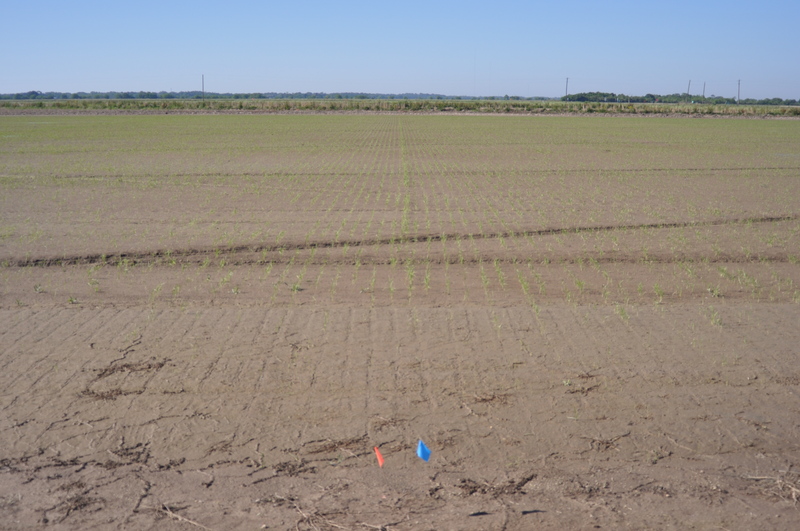 After we found colaspis in Jefferson-Davis Parish last week, we headed over to St. Landry to take stand data at Charlie Fontenot’s farm. We met with Valent company representatives Karen Arthur, John Bordlee and Bill Odle to discuss this location and the other sites. 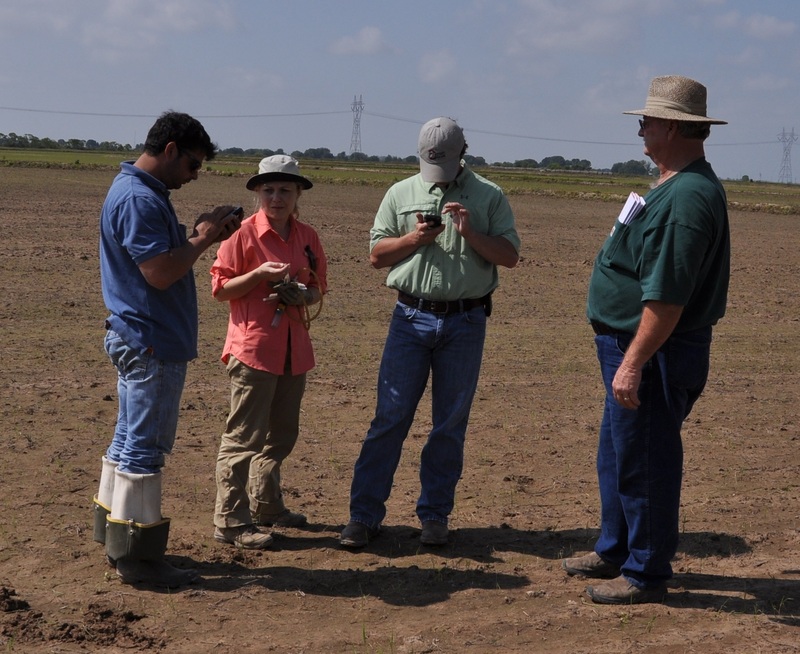 Charlie Fontenot, Crop Consultant Dean Reed and County Agent Vince Deshotel also met us at the field. We did not notice any obvious visual differences between treatments, but all treatments looked a little better than the untreated. We will report the overall stand observations once we have take data at all sites. 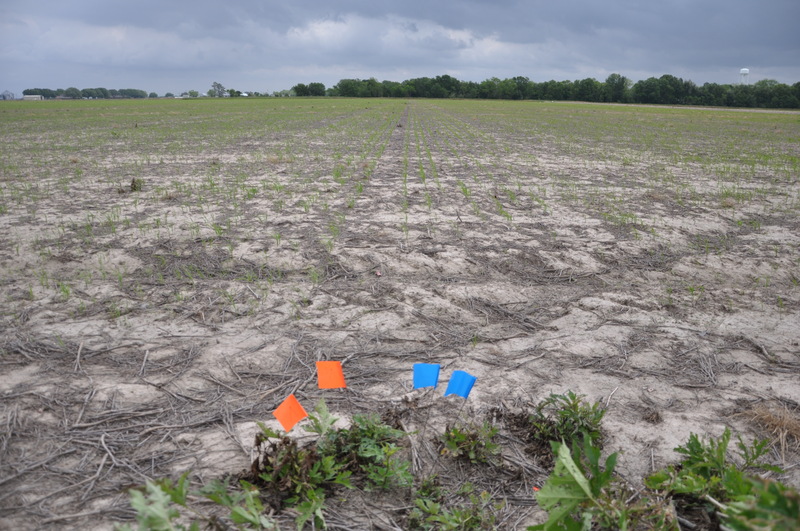 All plots are marked with colored flagging, so feel free to contact County Agent Vince Deshotel if you’d like to drive by and visit the test site. 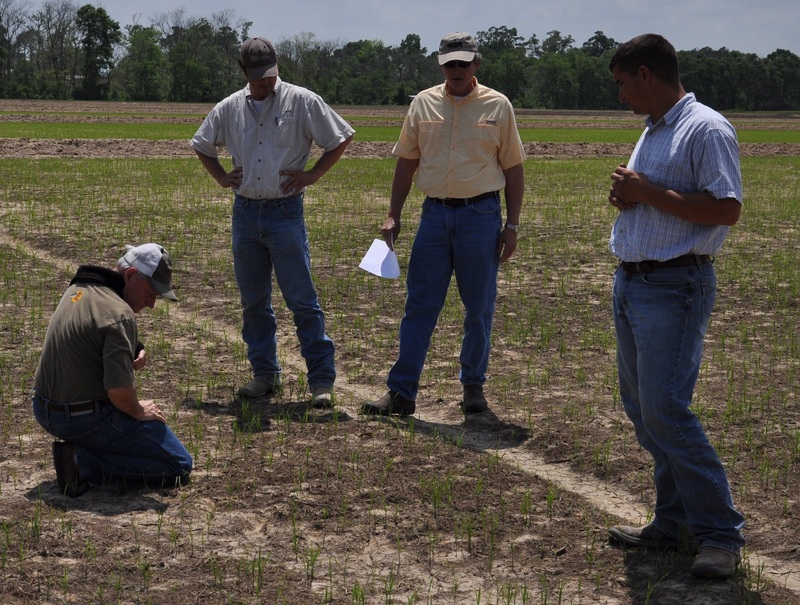 Bill Odle, Dean Reed, John Bordlee and Charlie Fontenot examining the stand at the St. Landry Parish demo location. Plants grown from NipsitInside to the left and Dermacor X-100 to the right. 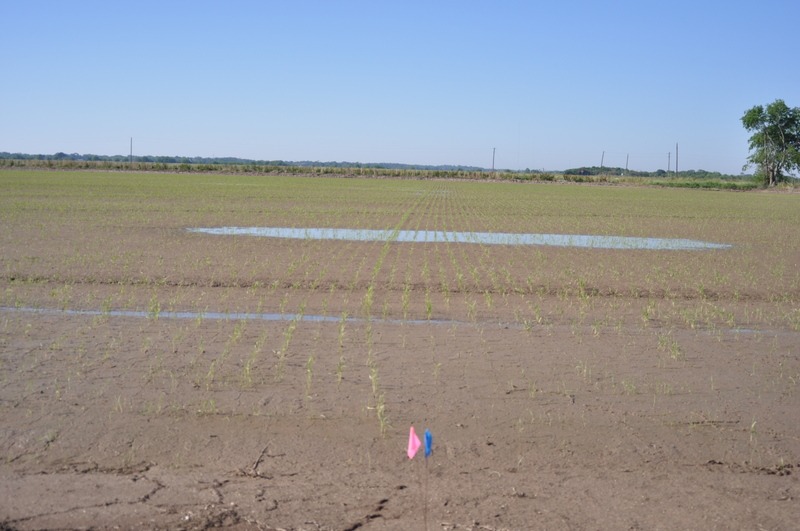 Plants grown from untreated rice seed to the left and CruiserMaxx treated plants to the right. 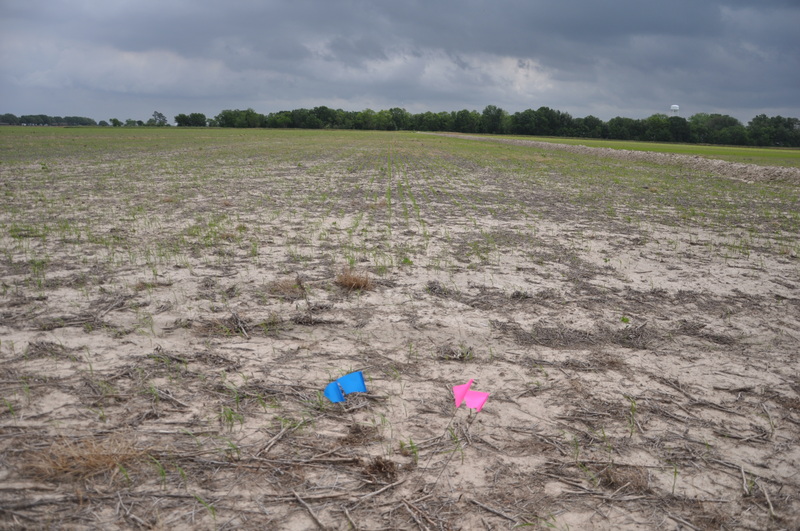 We intend to plant our last site – located in Avoyelles Parish – on Wednesday. 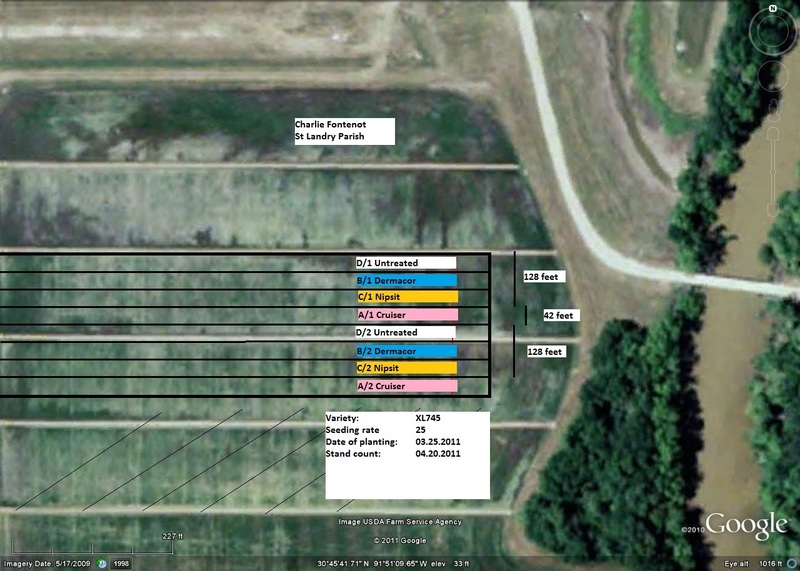 We will take stand data at the Calcasieu site on Thursday. Busy week of field work ahead! 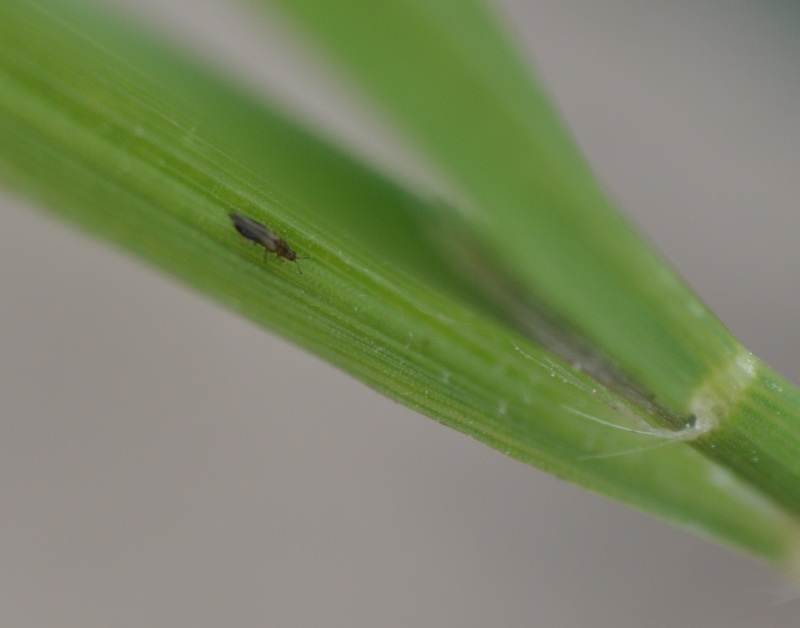 This morning I received another call about chinch bugs infesting seedling rice – this is the fourth call I’ve had this season, so I want to remind field scouts to be on the look-out for this pest. So far they have been reported in Jeff-Davis, Evangeline and St. Landry Parishes. 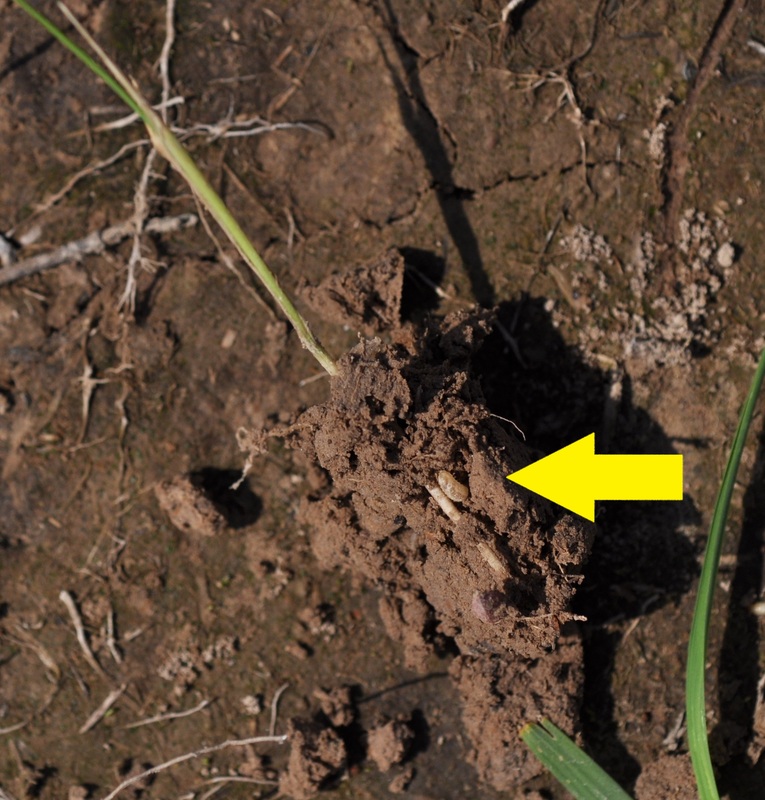 Chinch bugs can quickly move in and reduce a stand of rice. 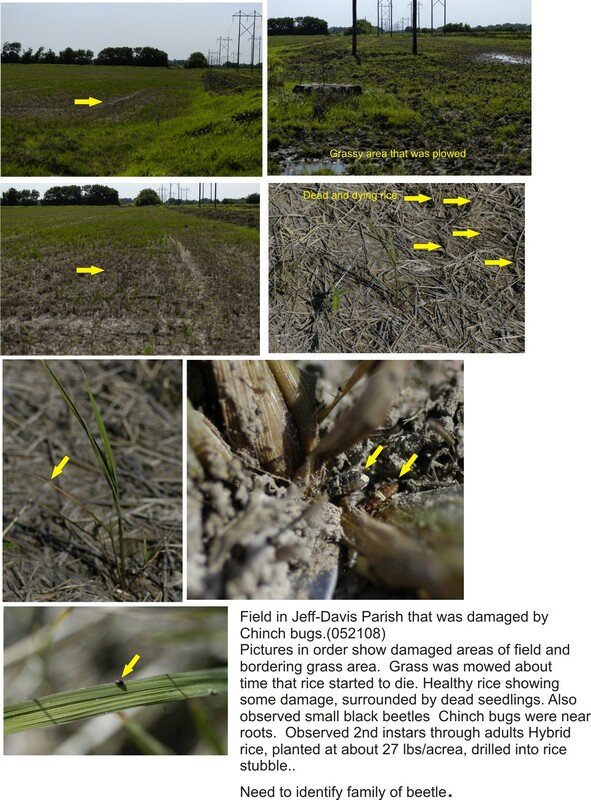 Click here to read more about chinch bugs and the damage they can cause to a rice field. 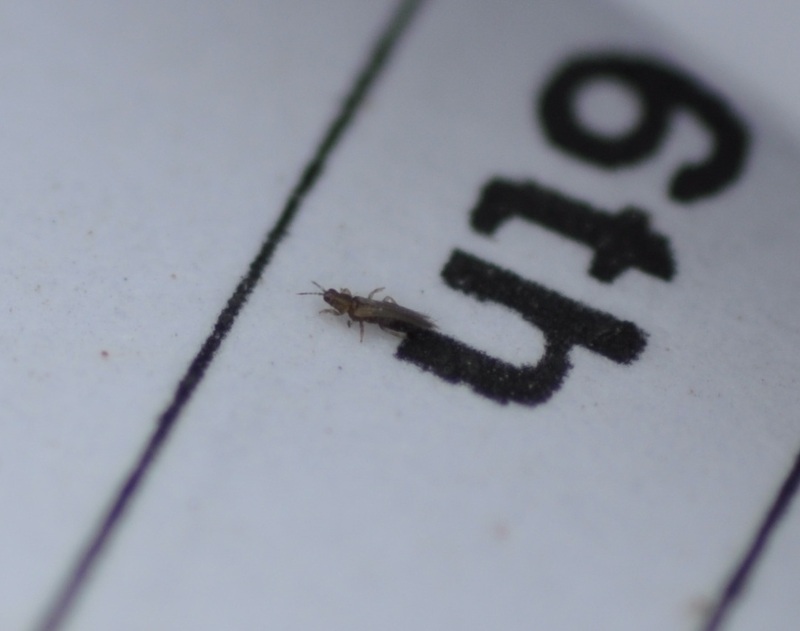 Rapid identification and a prompt response are key to minimize the impact of a chinch bug infestation. 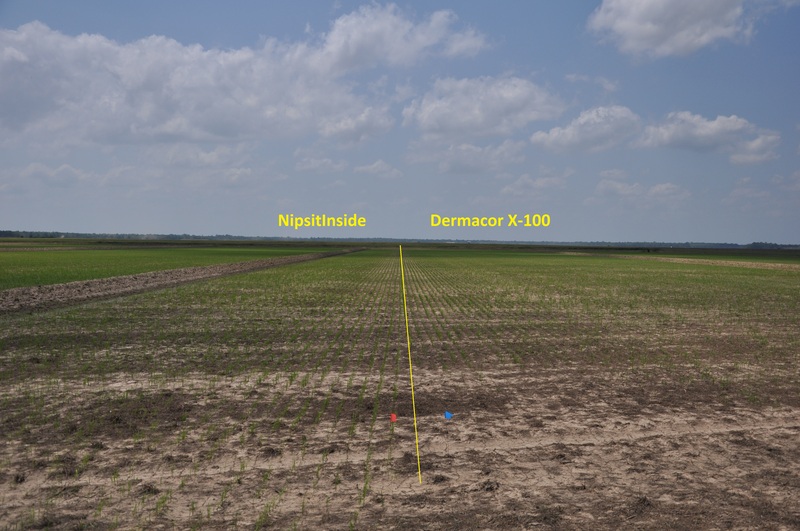 In one case, there was a minsconception that Dermacor X-100 would control chinch bugs. 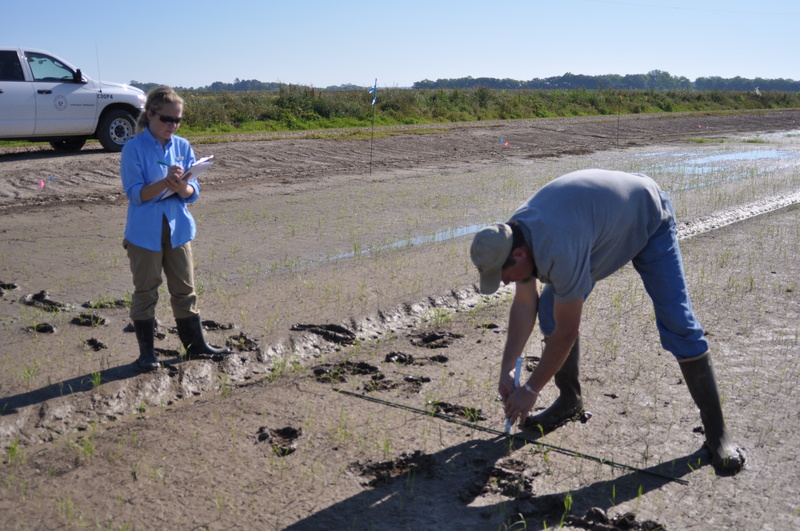 While these new chemistries provide excellent control of rice water weevil larvae, they are often limited in their ability to control other insects. 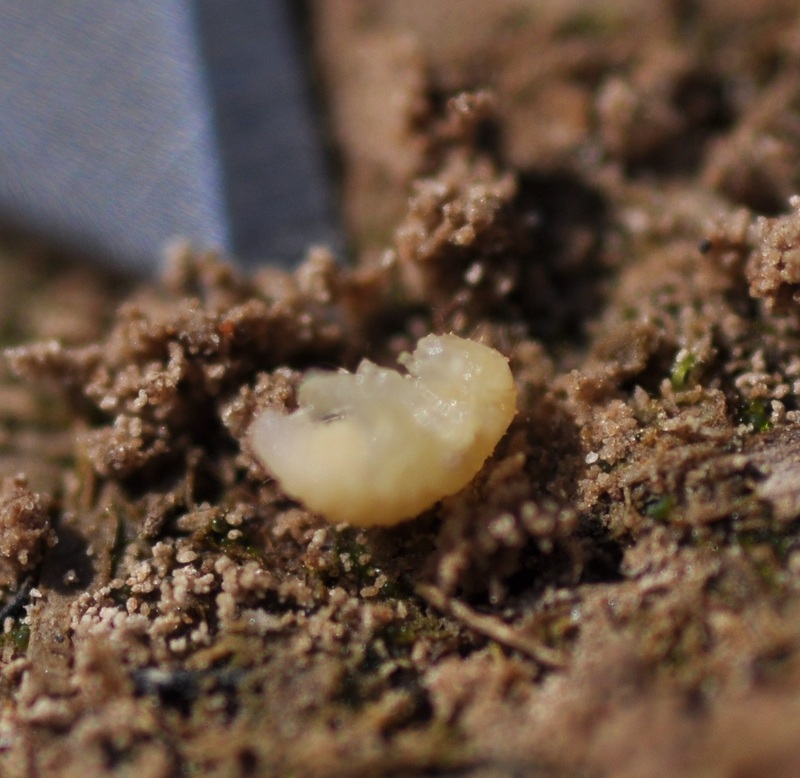 Keep in mind that each of the seed treatments controls a specific group of pests. 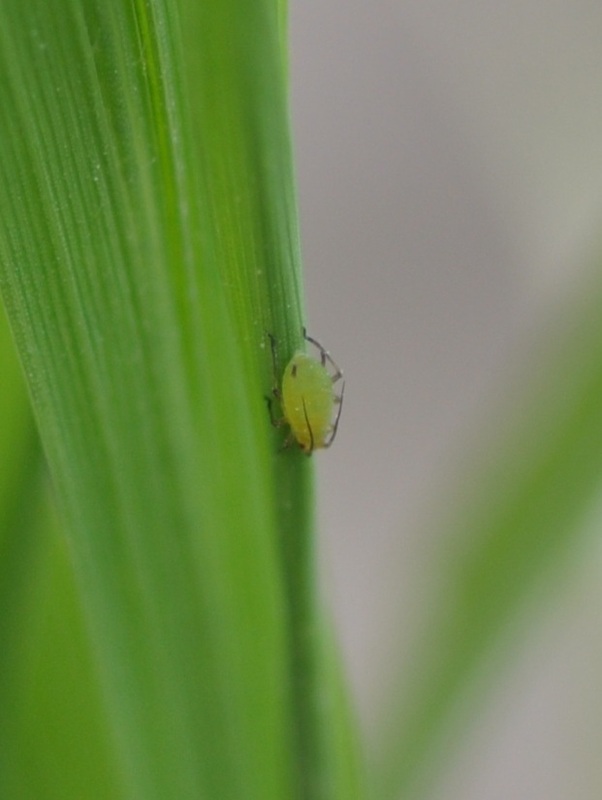 To learn more about identification of the different insects that attack rice, please visit the LSU AgCenter Rice Insect Identification guide by clicking here. 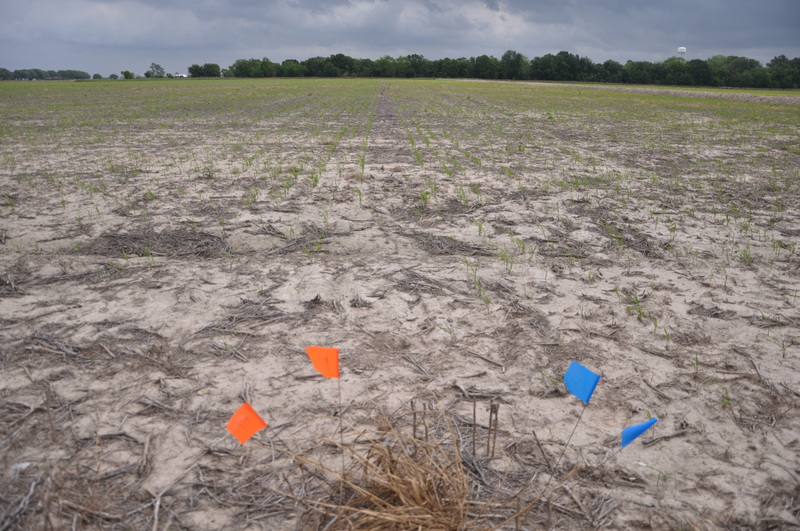 You can read more about the seed treatment options by viewing the presentation I gave at the Louisiana Agricultural Consultants Association Meeting in Feb 2011. It is can be downloaded by clicking here.